I am a recently retired building asset manager for a school board. Now, I am a part time riding instructor for a local driving school...Dream job ! Wow, 104 days a year at work, that's fantastic! I'm an ex tradie ( plumber/gas fitter) who also used to work in the mining industry ( on an equal time roster though, not that cushie 8/20 gig you have LTRRTL LOL). I did that for a decade. Got out of that 3 years ago for family reasons. After a 12 month stint stint working on the construction of the new local hospital, I pulled the pin and got my teaching degree, finishing that in July this year. I am now working as a ITD Teacher, teaching kids how to do metalwork/woodwork/design/graphics, etc. Nothing funnier than trying to teach a class of 12YOs with crap fine motor skills how to use a chisel and a hammer! Oh, I also managed to complete a Science Degree prior to the mining stint, but have never used it to earn an income. I work as an airline pilot, the good thing about airplanes is that they lean to turn. I am a sales working in a Freight forwarder company. this is my 1st tenth year of working since graduated. still need to work 30 years that could reach mandatory age for retirement. All my family object I am riding a crazy speed machine, my mom even want to break my legs when she know I buy a Liter displacement moto-bike, even a scooter is dangerous for them! A car and bike detailer, normally stuck in someone's garage looking after there pride and joy! 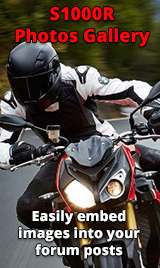 My parents said the same to me when i was 18... 18yrs later they still have the same opinion, parents are wise but you need to enjoy your life how you want to, even if that means blasting down the road on your S1000r!